Terria's Therapeutic Table and Chair Massage, LLC is a Veteran-Owned and Operated Professional Mobile Massage Therapy service based out of Atlanta, GA. We service GA, SC, AL, MS, and LA. Terria Wheeler is the owner and operator, who is a caring and driven professional who was born and raised in Taylorsville, Mississippi. She is the mother of a beautiful baby daughter. She completed her undergraduate education at the University of Southern Mississippi, graduating with a Bachelors of Science degree in Sports Coaching and Administration in 2009, and was also a collegiate Track and Cross Country student-athlete. Inspired by the military, she joined the United States Army after college serving four years active duty and one tour to Iraq in support of Operation New Dawn.After serving, her family moved to Atlanta, GA. She attended Gwinnett College-Lilburn, GA, where she earned her Massage Therapy and Neuromuscular therapy education graduating with honors. 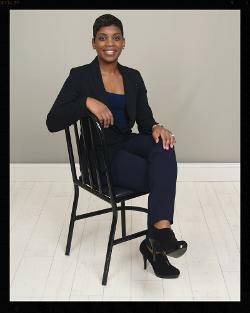 Terria is committed to making a difference, establishing herself as the top Licensed Massage Therapist in the South!